Sports journalists have been facing this conundrum of ranking sports for some time now. Every now and then we see contradictory rankings of most popular sports alleviating whatever confidence we had in those reports. For ranking any sport’s popularity it is imperative that we set the criteria for ranking first. If TV viewership of any sports is the criteria then Beijing Olympics 2008 was by far the most watched sporting event with over 1 Billion people tuning in at some point during the Olympics event. For us TV viewership isn’t the only criteria for a sports popularity rather it should be the number of other factors combined to get the best popularity ranking. 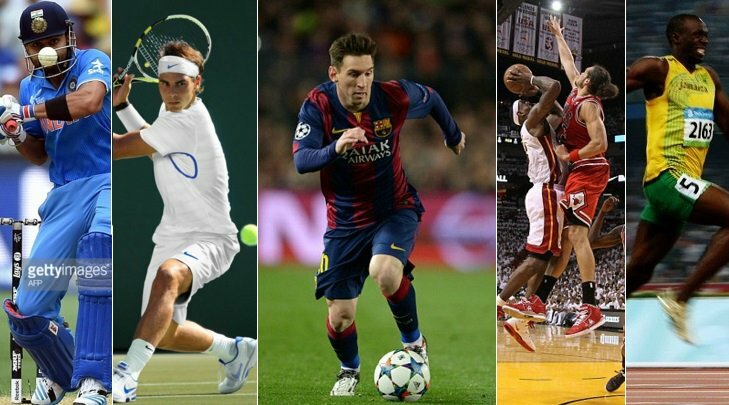 These are the factors we consider in ranking the top 25 sports in the world. So lets begin our countdown for the biggest, most popular sports in thew World. With over 4 billion followers of football, it is by far the most popular sport in the world. Considering all of our criteria factors football top most of them we have discussed major factors which makes football’s popularity unmatched. Football’s dominance over the globe is so obvious that it really shouldn’t be a surprise for anyone to see football’s name at the top of the list. The Beautiful Game, as they call it, has fans in as east as Japan and as West as America but nowhere on earth is this game more popular than in Europe. For most European nations, it’s not just a game rather it’s a way of life. FIFA World Cup is the most iconic event of this sport which is not only the most watched team event but also one of the highest paying competitions in the whole sports world. Football is one of the most accessible sport in the world and there is hardly anyone in this world who has not kick a ball at some point in their life. Football dominate sports headlines in some of the major countries in the world including almost all European nations like United Kingdom, Germany, France, Spain etc. In South America football is more than just a game, it represent dreams and joy for kids in Brazil, Argentina and other latin countries. Lets take a look at some of the statistics which will put every argument to rest that Football is the biggest and most popular sport in the world. Most watched competition in the world: Football World Cup is by far the most watched sports competition in the world. 3.9 billion people tune in at some point during the FIFA World Cup 2014 making it by far the biggest sport competition. 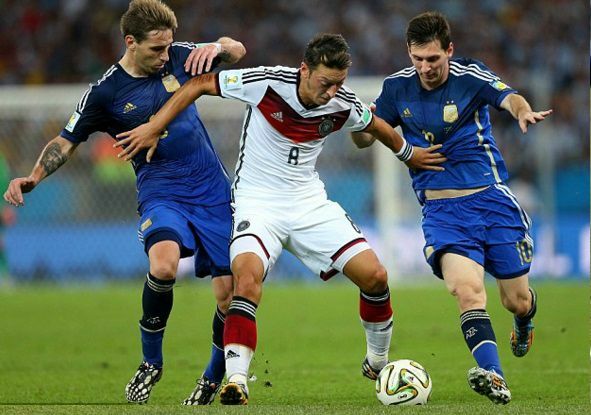 While the final of 2014 world cup was watched by as many 700 million people all around the globe. Most expensive sports TV rights deal: English Premier League (English top football division) is the most watched professional sport league in the world. it broadcast in 212 territories across the world with over 5 billion viewer tuning in to live action at some point every season. SkySports and BT Sports paid over £5.3 billion to get premier league rights in the UK for three years while another £3 billion will be generated from international rights. Most professional leagues: Football can boost most professional leagues in the world with over 50 top countries have established professional leagues, in most case multiple tie based leagues. Biggest sport kit deals: Adidas pay £75 million a year to Manchester United to be their official kit suppliers which is the biggest kit deal in the world. most of the top teams has lucrative kit deals with big sports brands. Highest Paid Athletes: Top players like Ronaldo and Messi are paid around £300,000 a week in salary by their respective clubs while Ronaldo and Messi also feature in the top 5 of the most endorsed athletes in the world. Richest Sports Teams: If we talk about the richest sports team in the world, around 30 clubs feature in the top 50 list of most valuable sports teams. Football international federation called “FIFA” is the biggest and most power federation in sports. Over 200 national federations and over 6500 professional clubs from around the world are registered with FIFA. FIFA also has the biggest sports database of players and teams from around the world. Most popular Sports teams on social media: Real Madrid and Barcelona are by far the most followed teams of any sport on social media with over 100 million followers each. Most Followed Athlete: Cristiano Ronaldo is by far the most followed sports athlete with around 150 million followers on Facebook and twitter. We can go on and on about how popular football, you can compare sports on any scale and Football will come triumph in popularity. If there is no doubt in what is the biggest sports in the world, we will always be in never ending debate about the second most popular sport ? so which one is it ? lets take a look. Basketball has over 1 billion followers. 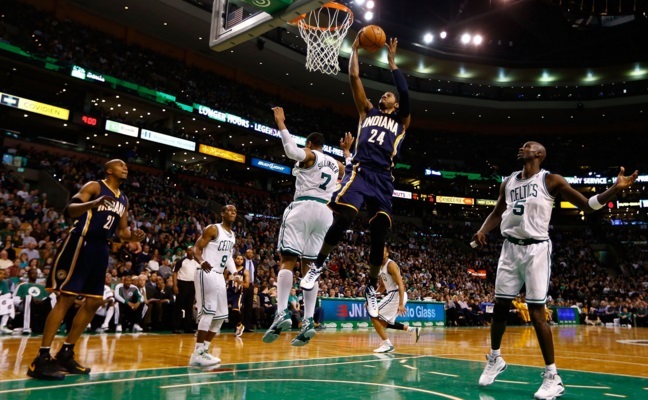 Its a major sport in USA with NBA generating over $4.75 billion a year in revenue. Established Professional leagues in Spain, Greece, Turkey, Italy, France, Argentina, China and more leagues getting setup every year makes it the fastest growing sport in the world. There will always be an argument which sport is the second most popular behind Football ? Well as far as last 10 years data about revenues from professional league, tv contracts and general sport popularity is concerned Basketball has kind of gain massive popularity outside of its home America. Basketball is fast becoming a big sport in Canada, China, Spain, Philippines, Australia, Turkey, France, Germany and some other minor european countries like poland etc. We can safely say that no sport in the world can match Football’s popularity (in some cases obsession) but Basketball do have a scope to establish itself as undisputed second biggest sport in the world behind football. Here are some interesting facts which goes to show how popular Basketball really is. Second most number of professional leagues worldwide: Basketball is second only to Football in terms of professional sports league’s around the world. NBA is of course the biggest one but in countries like Spain, Turkey and Chinese Basketball leagues are pretty big. here are some of the biggest basketball leagues around the world. NBA (American) and other lower tier leagues starting from College basketball. NBA is by far the biggest basketball professional league by a long margin but other leagues are also doing pretty well mostly in europe. Liga ACB (Spain) also has two more lower tier leagues. (Europe’s finest basketball league and basketball is the second biggest sport in spain as their national team success shows who won 11 european titles in basketball. Heba A1 (Greece), Heba A2 is tier two league. third most powerful sports league in the world: NBA (American basketball league) is the third biggest professional league in all sports behind NFL (American football) and Premier League (Football/Soccer) in terms of revenue over $4.75 billion was generated in 2014 in terms of revenue. Highest Average Salary: NBA average yearly salary for athlete is around $4.4 million a year, thats second highest average wage of any sport league in the world. While top 40 players in NBA earn more than $13 million a year in salary while top 10 earn more than $22 million a year with Kobe Bryant earning as much as $25 million a year. Endorsement Deals: Lebrone James, Kevin Durant and Kobe Bryant features in the top 10 list of highest paid athletes with their massive salaries and endorsement deals with take their yearly income well over $50 million a year. Fastest growing sport: Basketball is also the fastest growing sport on every scale from revenues, to competitions/leagues. More and more professional leagues are getting established in countries across the world, specially in easter european countries like Poland, Hungary, Czech Republic, Serbia, Lithuania where basketball is easily the second favorite sport. Estimated 2 billion+ followers makes cricket one of the most popular sport mainly in commomwealth countries like England, India, Pakistan, Bangladesh, Australia, New Zealand, Carribeans and South Africa. This is where the eyebrows get raised. A large chunk of human population remains oblivious to the existence of this sport yet it has the second highest fan following among all the sports in the world. 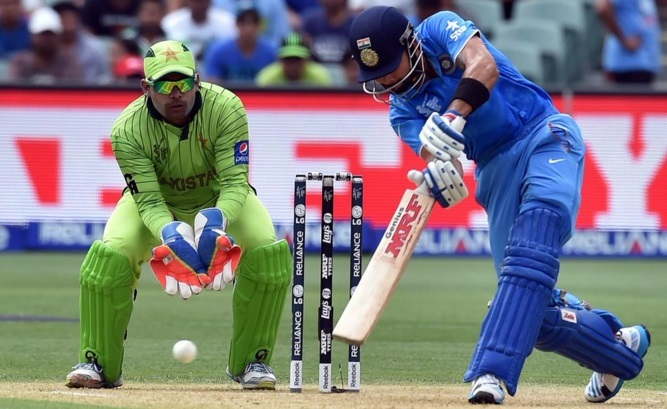 Cricket owes its popularity to the Indian Sub-continent, Australia and England. Originated in England, the game quickly became popular in all the swaths of lands that were once colonized by the Great Britain. In the middle of 20th Century, Britain left almost all its colonies but one thing which never left was cricket. In India and Pakistan, together which constitute a 5th of world’s population, cricket is a religion. It is a source of patriotism, an excuse for defusing tensions between arch rivals and synonym of competition. T20 is cricket’s latest format which is creating waves in other countries as well and now more and more countries are taking up this sport at professional level. Third most watched competition: become the third most watched sports competition in the world behind FIFA World Cup and Rugby World Cup. While new format Twenty20 has enabled domestic leagues in several countries with expensive team franchises are being sold which shows the future of cricket. T20 professional league: Almost all top cricketing nations has established lucrative domestic T20 leagues where players from foreign countries also take part. Indian premier League is the biggest domestic t20 league where along with local indian players, foreign players from 16 countries take part. All Star Cricket In USA: Back in november 2015 three shorter format exhibition games were held in USA in three different venues including New York, Houston and Los Angeles. The receptions was pretty good with Americans turning out in big numbers. Cricket is a dominating sport in many countries specially from indian-sub continent. Pakistan, Indian, Afghanistan, Sri Lanka, Bangladesh while England, Australia, New Zealand and South Africa are other big cricketing nations with cricket as second favorite sport. Cricket is also very popular in Caribbeans with international team callled West Indies is comprised of players from different countries across Caribbeans. Cricket also has its roots in countries like Ireland, Zimbabwe, Kenya, Holland. Women Cricket: Women cricket is growing fast in most cricket loving countries. ICC (International cricket council) has increased the tv coverage and prize money women competitions and women are now paid 50% more than they did 5 years ago. A global reach and over a 1 billion followers makes Tennis the most popular individual based sport. It comes up triumph in many of our criteria factors. A truly universal game and unlike the other team sports listed above Tennis is mainly an individual based game which is very popular across the world. Specially Its four biggest events called “Grand Slams” where top matches are often the most watched sports matches every year. Unlike the other sports Tennis is equally popular for men and women across the world. In fact Tennis is one of the rare sport in the world which represent gender equality with same prize money for men and women competitions. Highest prize money in individual sport: All four grand slams, Australia Open, French Open, Wimbledon and US offer huge prize money and the prize money given to winners mens and women singles event is the highest in any of the individual sport. The most global calendar year: Tennis events divided in four categories (ATP 250, ATP 500, ATP Masters and Grand Slams) takes place around the world throughout every years. Only football has more global venues than Tennis which is coverage in almost every part of the world. 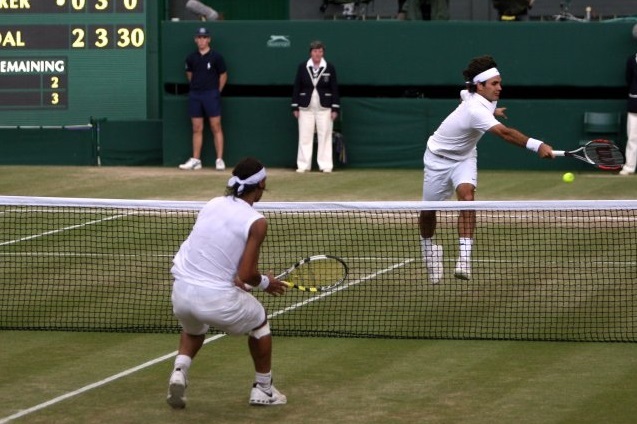 Most prestigious sport event: Wimbledon is not only the most prestigious tennis event but also in all sport. Over 1 billion people tune in at some point during Wimbledon 2015 and 2014. While 17.3 million viewers tuned in to BBC One only in UK in 2013 Wimbledon final. Tennis is the most dominant sport during May to June every year (well unless there is a football world cup) because French Open and Wimbledon are held back to back and tennis headline the sports section of media outlets in UK, US and some other big countries. Tennis is also the most accessible sport and since both mens and women game are widely given the same respect the ration of fans is pretty much 50/50 in terms of gender compare to other top sport where male dominate the sport. Highest paid tennis stars: Roger Federer and Rafael Nadal were the two highest paid tennis player and they also feature in the top 10 list of highest paid athletes in the world for best part of last 10 years. Gender equality in tennis: While Maria Sharapova and Serena Williams are most successful women tennis players and they also featured in the top 20 highest paid athlete list at some point of their careers. Djokovic and Federer are close to earn $100 million in career prize money only Tiger woods (golf) has won more in prize money in individual sport. Champions from 30 different countries: Around 45 countries are represented in top 100 tennis ranking in both mens and women. While tennis players (both mens and women) from 30 different countries has won at least 1 grand slam making it a unique record in sport. Athletic is by far the most global sport of them all which include several disciplines of course with Running, long jump and other track/field events. Athletics is also the high point of Olympic games as Athletics based sports are the most watched during any Olympic event. Some of the iconic athletes have been gold medalists in track and field sport and swimming. 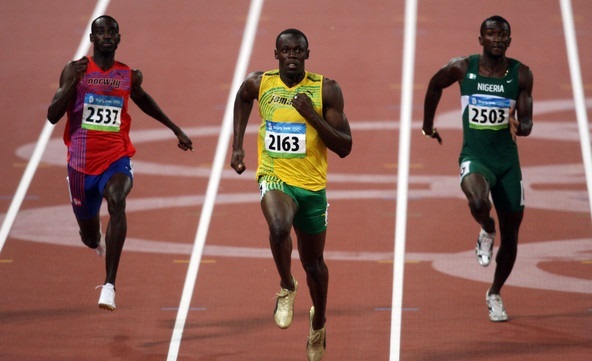 Current undisputed running/sprint sport champion Usain Bolt was the most talked about athlete during 2012 Olympic games in London and 2008 Olympics. Equally popular with both genders: Just like tennis there is large degree of equality in Athletics with almost all disciplines are represented by both men and women. Marion Jones is one of many great women athletes who made their names in Athletics. Jones who rose to absolute stardom after her 3 gold medals and 2 bronze in 2000 Sydney olympics was later stripped of the titles after admitting the use of steroids. Most countries represented in Athletics: Athletics is the most represented sport in the olympics with athletes from almost all countries participating in some form of the diciplines in Athletics. Most watched single olympic event: 100m final gold medal sprint race in 2012 Olympics was the most watched event in Olympic history with over 1 billion tv views across the world. Rugby is a major sport in some of the most economical developed countries like All four home nations of United Kindom (England, Wales, Ireland and Scotland) in souther hemisphere countries like Australia, New Zealand and South africa also boost huge popularity in Rugby. Professional Leagues: France has the best Rugby league in the world and most of highest paid rugby players play for French clubs. While the game is growing fast in countries like Japan, Italy, Argentina, pacific countries and even in United States. The best way to measure Rugby popularity is through recently concluded Ruby world numbers. Second most lucrative Sports World Cup: 2015 Rugby World Cup was the biggest Rugby event in history which took place in England and Wales. It generated in access of £250 million in revenue which was alot more than what was expected. Second most watched & Attended competition: Rugby world cup 2015 was the most attended sports event behind FIFA World cup 2014. Over 2.47 million tickets were sold with around half a million (480,000) fans traveling from oversees (24 countries). 120 million tune in to watch New Zealand beat South Africa in the final of 2015 world cup. While 1 fifth of Japan population tune in to watch Japan vs Samoa. Which was significant as Rugby is a growing sport in Japan. Highest ever TV ratings in UK: ITV’s coverage of opening ceremony and opening England match was watched by 8.7 million UK viewers on average making it the most watched sports event in UK. Healthy Social media presence: #rwc2015 was used once every two seconds on twitter during the 2015 world cup which goes to show the global reach of the game. 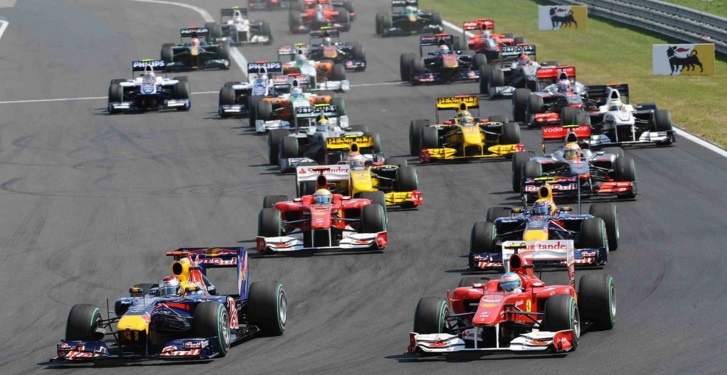 550 million people tune in every year at some stage of Formula 1 season which runs from March to November. F1 is by far the most popular motoSport in the world. It might not be the most accessible sport in the world but in terms of sheer following Formula 1 is the undisputed biggest motor racing sport. With around 20 grand prix races every year in 20 different countries it is one of the most global sport around. Although the recent trend in TV viewership numbers is going down but Formula 1 still racks in healthy 500 million a year. the decline from around a billion to 500 million is largely down to Formula 1 turning to ppv in many countries. Most lucrative motor-sport: As far as the yearly revenue is concerned Formula 1 generate somewhere between $1.5 to $2 billion a year. Which is soundly distributed among 10 f1 teams who in return spend between $100 million to $500 million a season on elite level motor engineers, research & development and of course on driver salaries. Massive driver contracts: On formula 1 drivers makes around $5 million a year while the top drivers like Sebastian Vettel who has a $50 million a year contract with Ferrari, current world champion Lewis Hamilton who signed a new deal worth $40 million a year two of the highest paid athletes around. Cost of hosting a formula 1 grand prix is around $250 million for a 10 year period but that does not mean F1 is short on hopeful countries. Every year if one circuit withdraw a few more go into bidding war to host f1 grand prix. Only combat sport in the list, boxing is truly global just like Tennis and Athletics. Floyd Mayweather and Manny Pacquiao has dominated the rich list in last 10 years while boxing also boost some of the greatest athletes to have ever lived. Boxing is major sport in countries like USA, Mexico, Latin America, United Kingdom, Philippines, Japan, Russia and some eastern European countries like Ukrain, Poland, Romania. Amature boxing is also part of Olympics and it is one of the popular events during every olympic event. Unlike professional boxing, Amature boxing is represented by more countries in olympics making it global sport and one of the most accessible around the world. Most watched combat sport: Since boxing a combat sport it is not everyone cup of tea, but if you like combat sports chances are Boxing is your favourit sport. Mostly boxing is everyone’s second favourit sport or at-least they take interest in it specially during big fights. Women Boxing: It is quite popular with women as well with plenty of famous women champions. Laila Ali and Lucia Rijker are the most famous women world champions.. Highest grossing fight of all times: Floyd Mayweather vs Many Pacquiao was the highest grossing boxing fight of all times generating over $400 million in revenue. 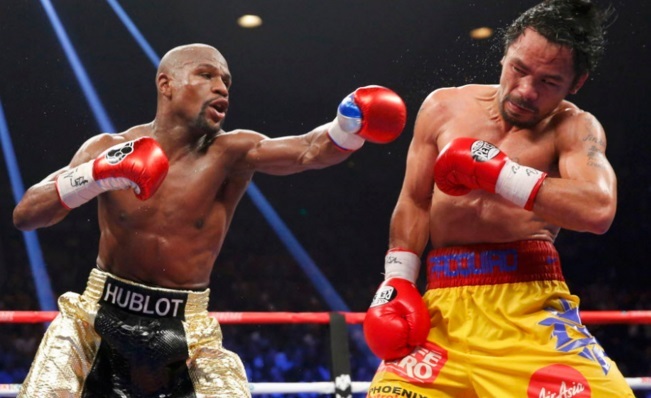 While Mayweather took home record $250 from nights work while Pacquiao earned $120. Both fighters has kind of dominated forbes athlete rich-list for best part of last 8 years. By far the biggest winter sport in the world and although it is popular or played in specific countries like Canada, Russia, USA, Scandinavian countries like (Denmark, Finland, Norway, Sweden) some easter european countries like Poland, Slovakia, Czech Republic it can still boost huge popularity specially during the world championships and european championships. 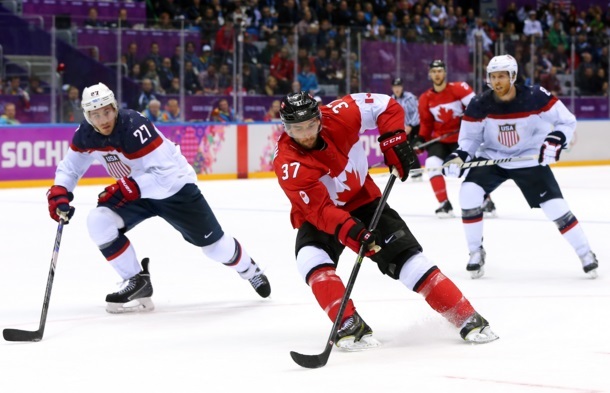 NHL is the biggest professional ice hockey league in the world based in Canada and US where players from all parts of the world represent NHL teams. With no intricacies involved, this sport is as simple as you like. And probably it is the simplicity of this sport that makes it so famous among its fans. Take a trip to the hunger struck African countries or try going to the beaches of Australia, you will find people playing this sport everywhere. On professional level, players with tall heights are preferred because of the extra reach they have so if your height is somewhere to the north of 6 feet, you should fancy your chances in this sport. 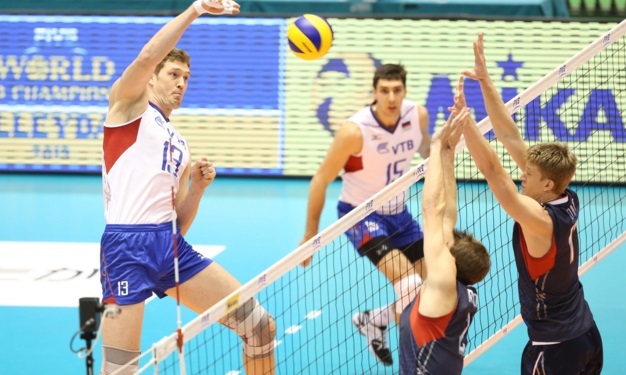 Most number of national federations (200): Having said that Volleyball has more national federations than any other sport with over 200 registered with FIVB. Most popular in developing countries: It is quite popular in some of the developing countries with the likes of Brazil, Turkey, South Korea, some easter european nations like Poland, Ukrain other european countries like France, Italy and even in Asian region like China, Japan. Just lagging by few million fans, golf is the 8th most famous game. A very docile sport involving no real physical competition and can be played by people of all ages. 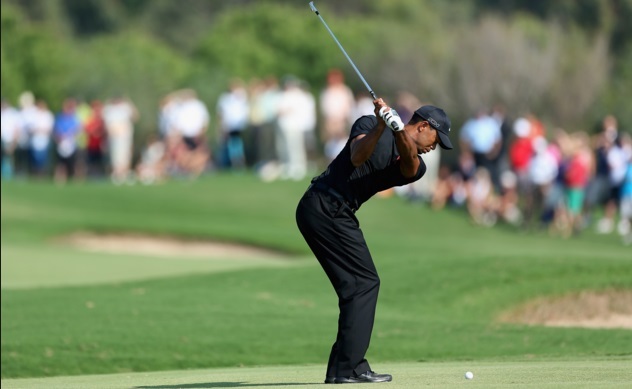 For too long American Golf Star, Tiger Woods, overawed all his competitors through his exquisite playing abilities but now the sport has got some more representatives who are spreading this game to the farthest of places. Did I forget to mention the amount of money this sport involves? I shouldn’t have because golf players earn millions of dollars in prize money and if they are as good as Tiger Woods chances are you will be richest athlete on planet. Game for developed countries: Golf is a major sport in some very developed countries like US, UK, Japan, Korea and even in South Africa. Just like tennis Golf has its four majors and the unique ryder cup where US golfers go head to head with European as a team. 12 American Football Biggest sport in USA and the most lucrative and powerful professional sport league of all sports is NFL which generates over $10 billion a year in revenue. Super bowl is the most watched sport event in US. 13 MMA Mixed Martial Arts is getting more and more popular with the emergence of UFC. Its a big sport in Brazil, USA while spreading across Europe slowly. It highly rewarding financially and might overtake Boxing in a few years. 14 MotoGP It is one of the motorcycle racing series. MotoGP is the premium class competition with huge TV following around the world. Mostly popular in Spain, Italy, Netherlands but growing in England, USA, Germany and Middle-east. 15 Field Hockey Field Hockey has fallen from grace even where it was most popular India, Pakistan. It still has some varied interest but nothing like 20 years ago where it was major sport in India, Pakistan and fairly popular in Australia, Malaysia, Holland, Germany, England and South Africa. 17 Cycling Very popular in some major european countries like France, Germany, Italy, Spain, England and Netherlands. Tour de France is one of the most watched competition in the world. Cycling is part of school games around the world. 18 Swimming Another fairly global sport but only attracts popularity during Olympic games. US. Michael Phelps is the most famous athlete in swimming having won record 22 gold medals in Olympic games. 19 Snooker Its very region specific game with only China and England orgnizing major competitions in Snooker. But it is also a major hooby game which is played everywhere around the world on non-professional level. 20 Table Tennis Professional only China, Indonesia, Malaysia and India has some interest in Table Tennis but in terms of casual playing it is one of the most played sport around the world as a hobby. 21 Gymnastics Some interest in all the major countries like Korea, US, Japan, China and Germnay. Like many other Olympics game Gymnastic only get some news time during Olympics. 24 Skiing Downhill Skiing is a big event in europe and its also one of the biggest winter sports.